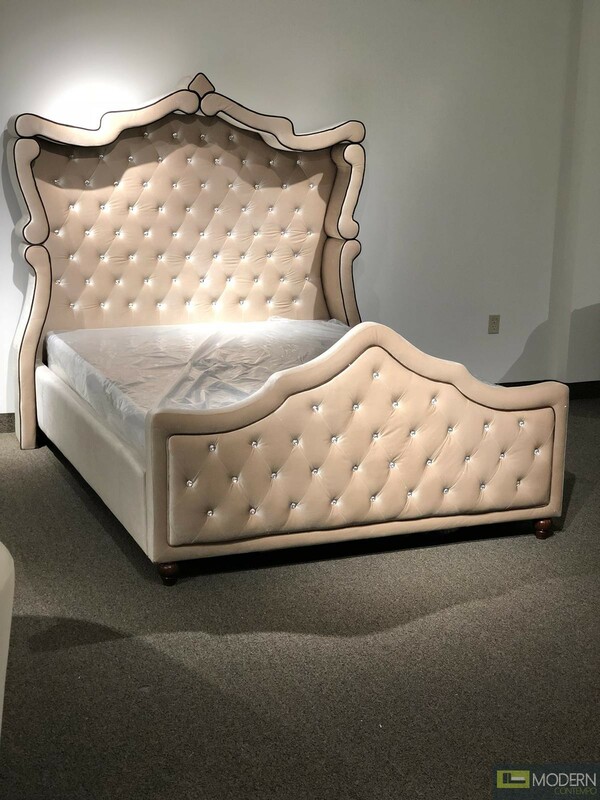 The Venus Bed is an impeccable example of truly memorable, opulent contemporary design. 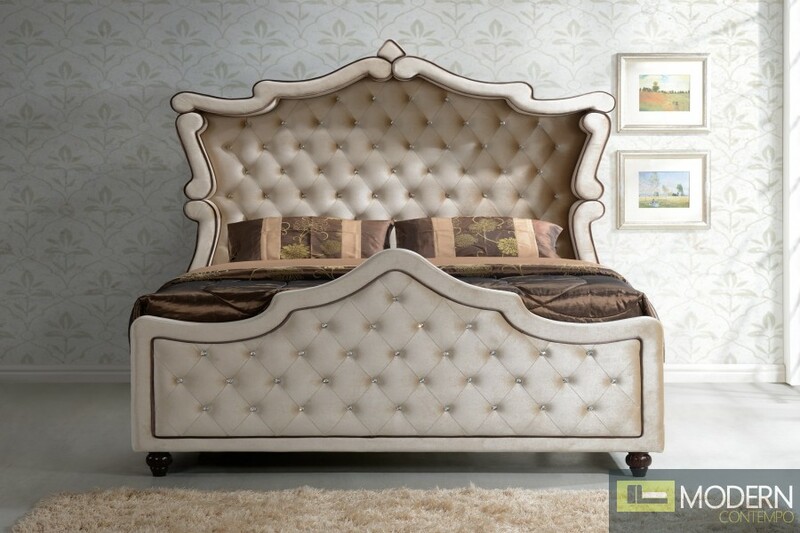 Your bedroom will be the height of dignified fashions with Golden Beige Velvet and top quality construction. 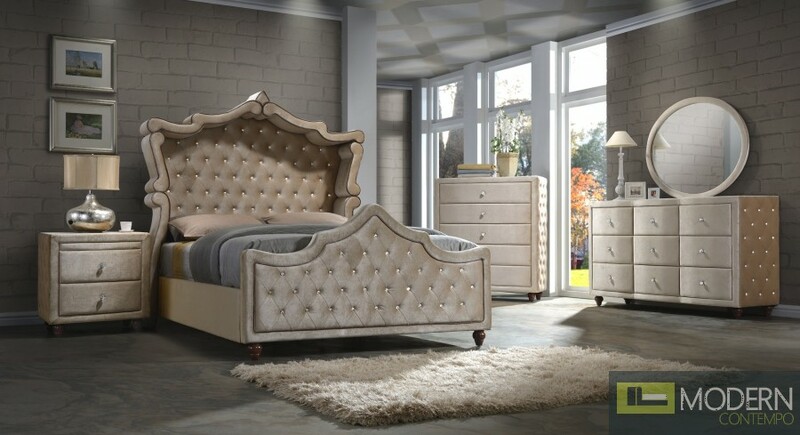 The set features crystal tufting and crystal handles throughout the case goods. 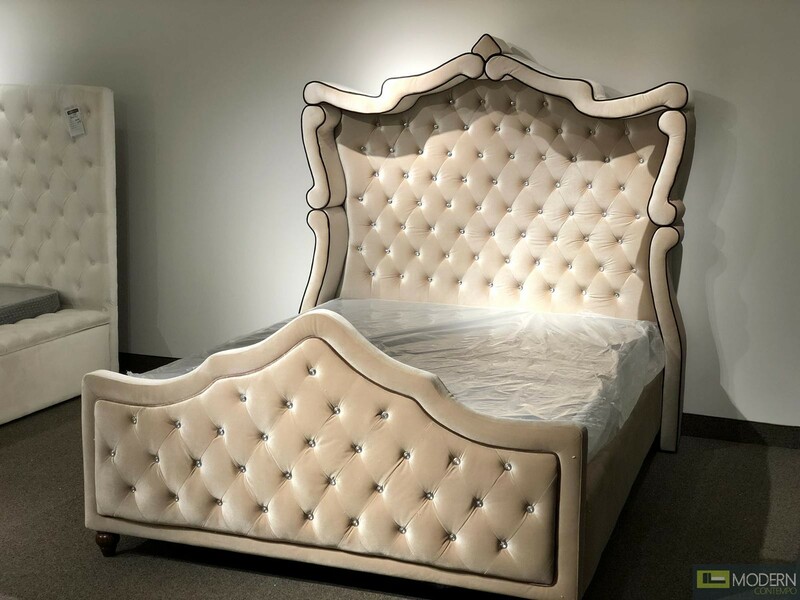 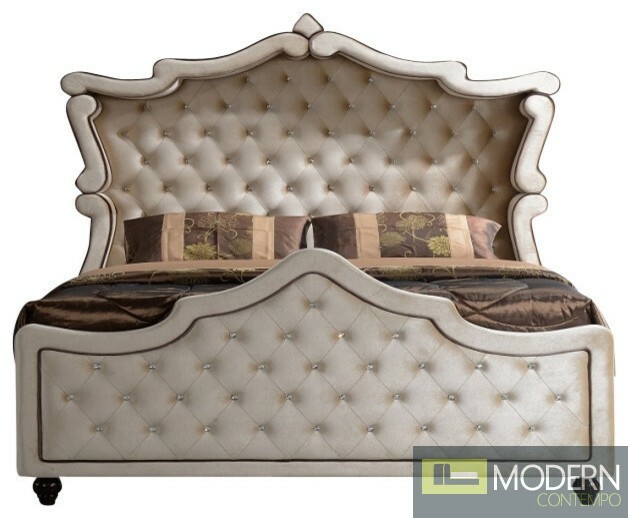 Available in the Canopy or Sleigh bed option, with custom velvet covered case goods.